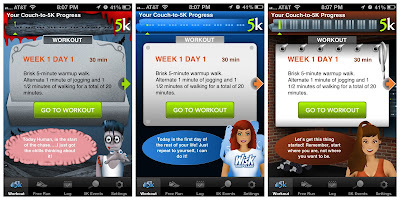 Today I started a workout I do from an app I purchased called Couch To 5K. 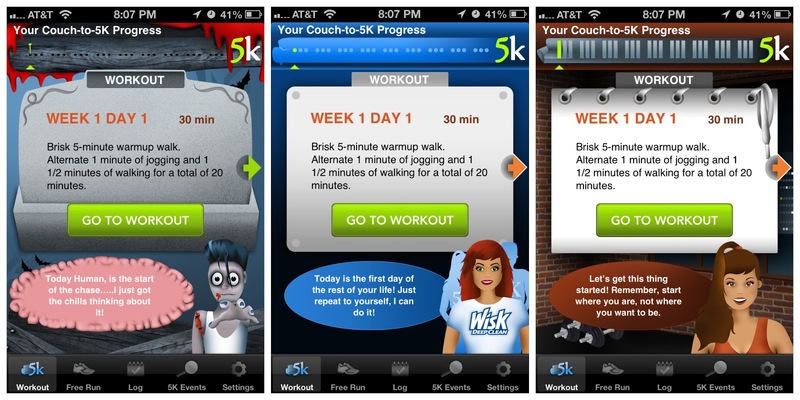 It supposedly trains you for a 5k run, we shall see. I think I did okay on this workout. I only could do two of the jogging times. What was cool as I was jogging, this skinny man ran passed me and gave me a thumbs up. I felt so happy that some stranger just encouraged me with his thumbs up. So cool!! However, I bet I sounded like a Heffalump while jogging, So embarassing!! This app let's you listen to your music while you walk and jog. Meanwhile, whenever you need to swtich from walking to jogging, a voice will tell you what to do. So simple eh? *LoL* There are five trainers you can choose from, I like pumpkin the dog because it's pink and pretty. 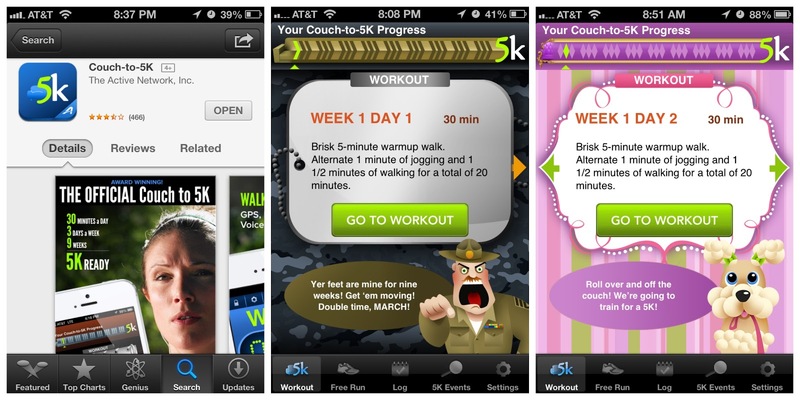 Below are the pictures of what the app looks like. The page is called aria's anecdotes. Aria is actually a nickname a besty gave me in college. I also use it as my second life name. They just decided to use it instead of my real name. Here is the LINK to my page if y'all want to view the crazyness. Enough Jabber for now!! Ta Ta! !